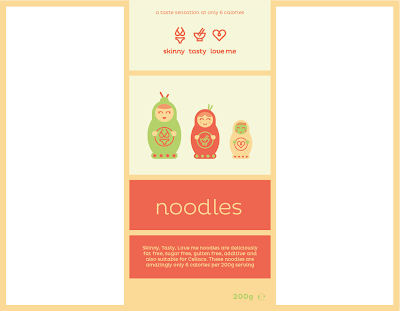 Initially when considered how the brand could be applied to the packaging we thought about having the packaging appear as a belly band around the product. 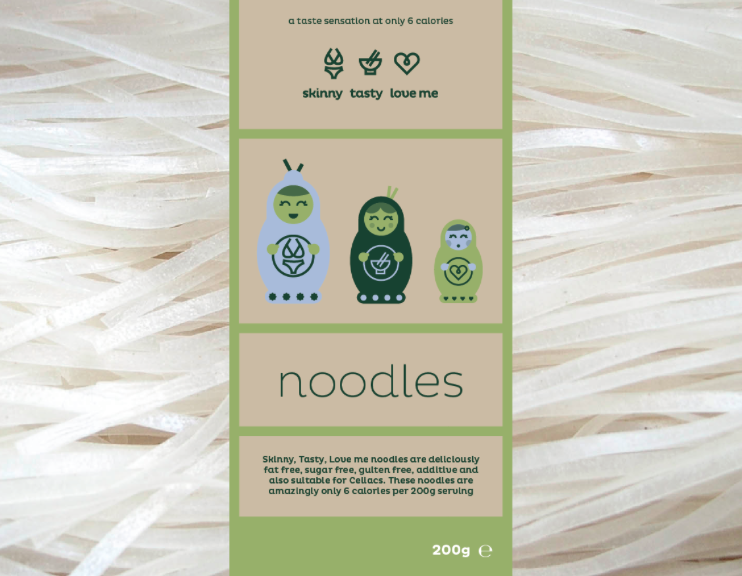 We were constrained in what could be done with the packaging as the technique being employed for the packaging was a direct print onto the plastic packet which will hold the noodles. We explored this design solution but when we printed this it was to small to be a feasible option as the packaging was too small. We are also currently exploring to different colour scheme options a green palette and a peach palette, we feel that peach palette is much more feminine and friendly as gives of less of an 'eco friendly' vibe. After hearing back from the client regarding the colour the client has chosen, despite out input, to go with the green colour palette. 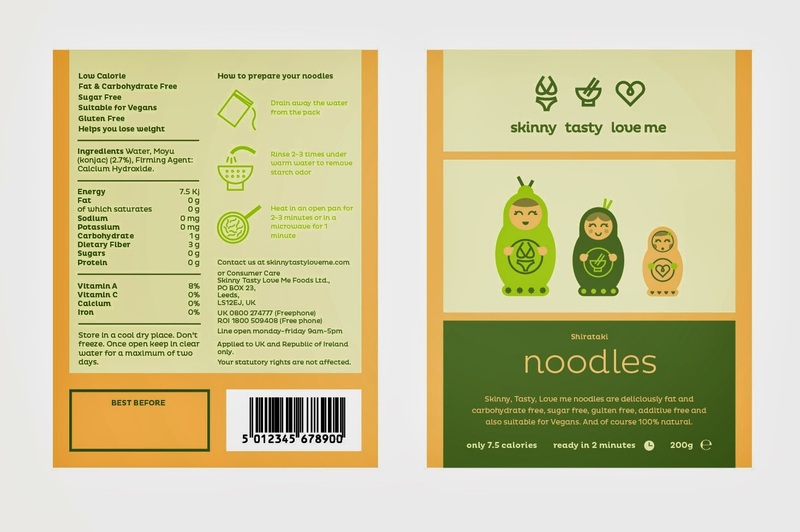 To address the composition of the packaging and give our selves more room on the packaging decided to take our current solution and make it portrait instead of landscape and print it over the entire surface of the packaging which is much more effective. Especially in terms of the reverse of the packaging we now have much more room for the technical requirements of the packaging. We also looked at how we could incorporate a visibility of the product into this new design and we did so through making a window within the main box of the packaging design and layout a solution myself and Tom are happy with as a comprise between the two design formats.